A superstar during his football playing days, Spencer Strasmore tries to find the same success as a financial manager for current players in sun-splashed Miami. Heeding his boss Joe's instruction to "monetize his friendships," Spencer builds a client base of young phenoms and veteran stars alike, but his role in their lives far exceeds money management as he struggles to help them navigate the many traps that come with life as big-time "ballers." 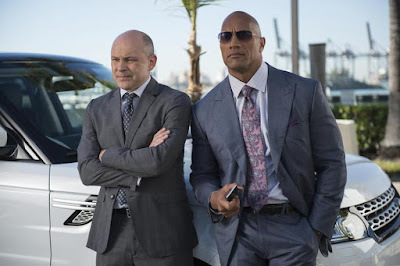 The series is created by Stephen Levinson ("Entourage," "Boardwalk Empire") and stars Dwayne Johnson as Spencer.